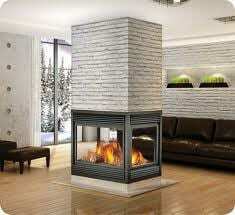 The CDV36 is the most versatile fireplace with hundreds of different decorative design options to choose from. 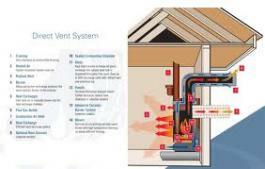 With up to 26,000 BTU’s it provides plenty of cozy heat – perfect for any room in your home. The BCDV36 model offers up to 17,000 BTU’s to generate enough heat to comfortably warm any mid-size room. 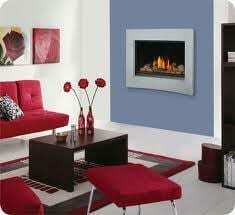 A wide range of decorative options allows for different designs to suit your decorating style. 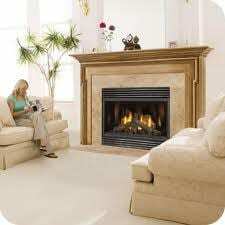 Continental’s popular 36″ and 42″ fireplaces are available as clean face units with a louvre-free view of the firebox. 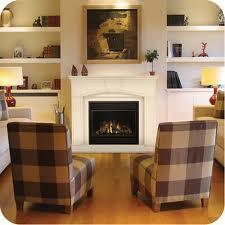 A perfect complement to a crisp, contemporary design with plenty of reliable, cozy heat. available as in wave, convex, or concave (for BCDV36CF). A clean face design with an standard exclusive CYRSTALINE ember bed. 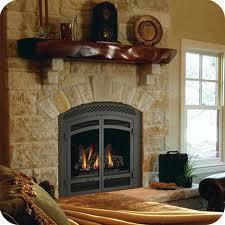 This fireplace provides inspiration to create a hearth experience that focuses on warmth, beauty and style. CRYSTALITES comes standard (lights that accent the crystals from below) and can function with or without the flame. The Porcelain Reflective Radiant Panels, included with the unity, create four spectacular fires in one and fill the large firebox with an echo of beautiful YELLOW DANCING FLAMES. 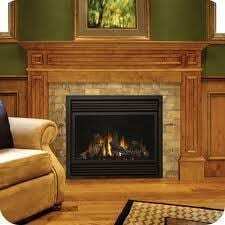 The impressive view, along with exceptional decorative options, furnishes your room with a fireplace admired by all. 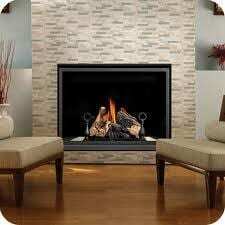 Excellent choice when you need an efficient reliable fireplace but you also want the perfect atmosphere for your family to enjoy for many years. With up to 35,000 BTU’s, an outstanding 81% efficiency rating and a 50% flame/heat adjustment for maximum comfort, the CDV70 gives you the reliable heat source you need. When your design vision in inhibited by installation challenges, you can turn to multi-sided fireplaces to give you the design flexibility you’ve been looking for. These create interesting room dividers between bedrooms and bathrooms, kitchens and sitting rooms, entrance ways and living areas and even looks great in a corner. 35″ High Definition. 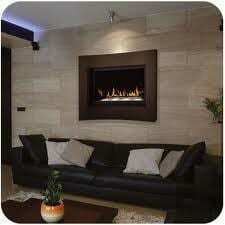 The clean face design maximizes the viewing area sot he realistic flames and log set are enjoyed to their fullest. With up to 25,000 BTU’s, this unity generates plenty of cozy heat and can easily turn down to a lower, comfortable setting. This mid-sized fireplace give you all the great features of the CDH35 plus offers a wider 40″ firebox width with 27.000 BTU’s. The clean face design of this mid-sized fireplace (shown here with painted black andirons) maximizes the viewing area so the realistic flames and log set are enjoyed to their fullest. This unit is also available with an optional river rock media tray complete with sand, and satin chrome decorative fender for a more contemporary look. This modern, linear design at an affordable price will please both new building and renovation budgets. 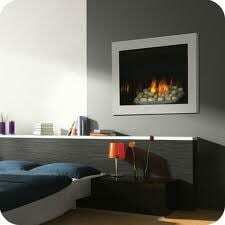 With unique design options (coloured glass and river rocks media enhancement kits), it captures an extraordinary fireplace experience in any room. Perfect for contemporary and open concept living rooms. With over 30 years of research and development, Continental Fireplaces have perfected direct vent technology to offer you a fireplace, stove or insert that easily fits into your lifestyle. 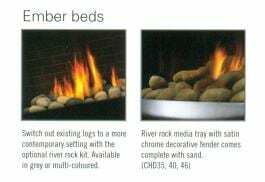 Switch out existing logs to a more contemporary setting with the optional river rock kit available in grey or multi-coloured. 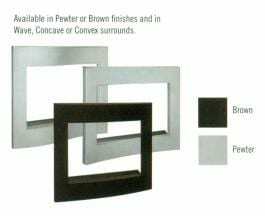 Contemporary trim kits are available in pewter or brown finishes adn in wave, concave or convex surrounds.